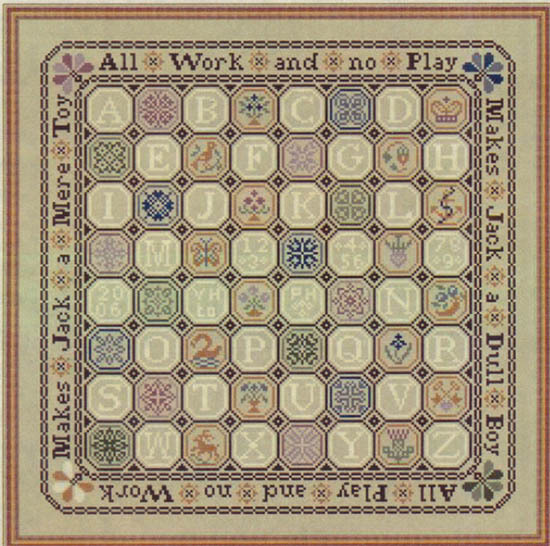 Alphabet game board with sampler motifs between the letters. "All work and no Play makes Jack a Dull Boy". Count: 197 x 197. 15 points will be rewarded to you when you buy this item. You must be a registered customer to receive points.